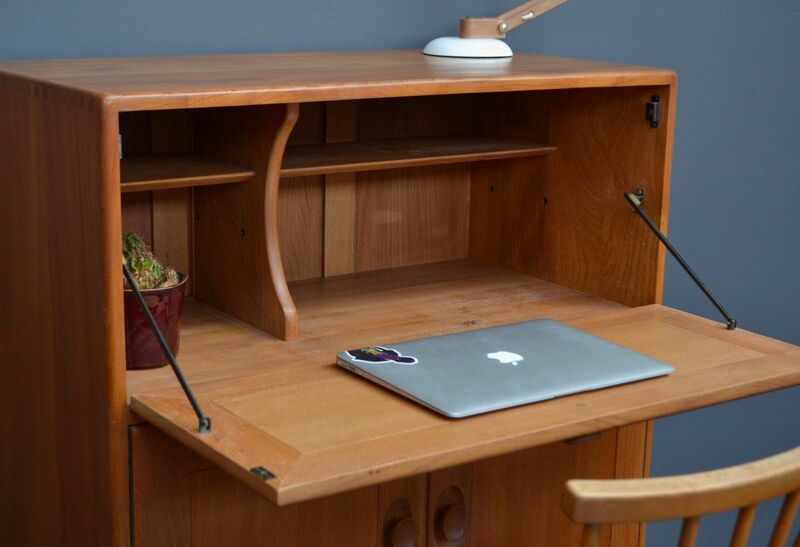 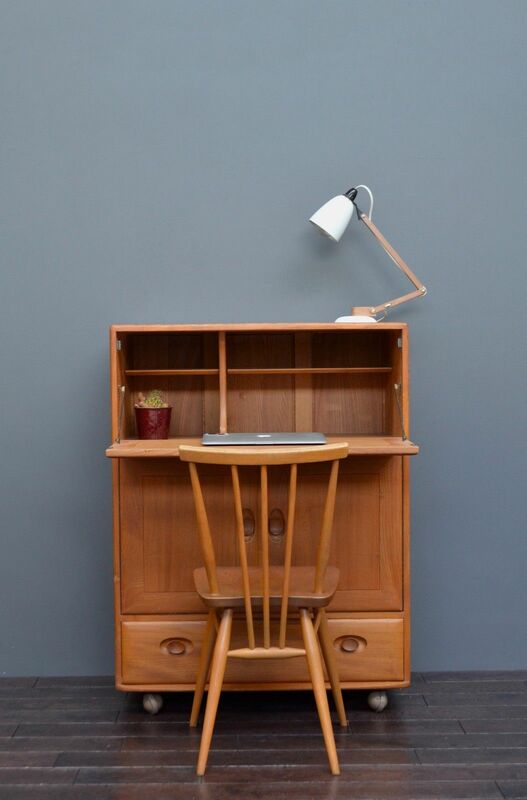 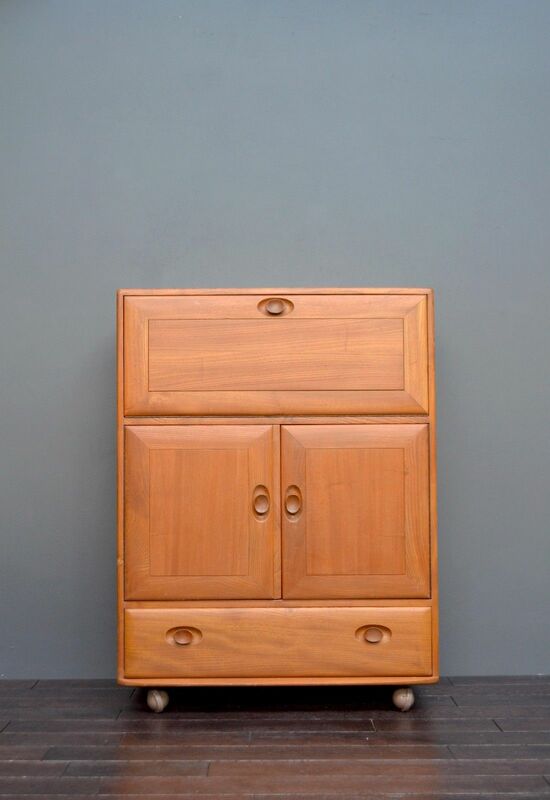 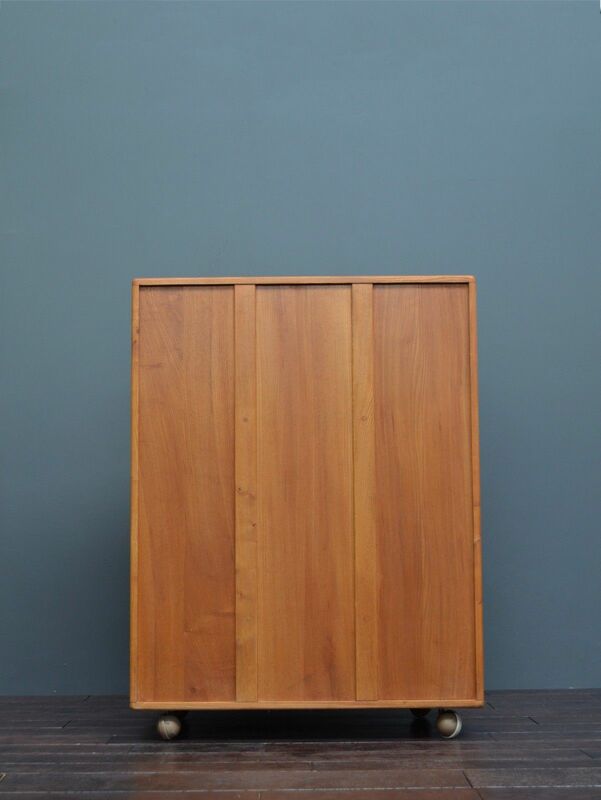 Mid-century Ercol bureau. 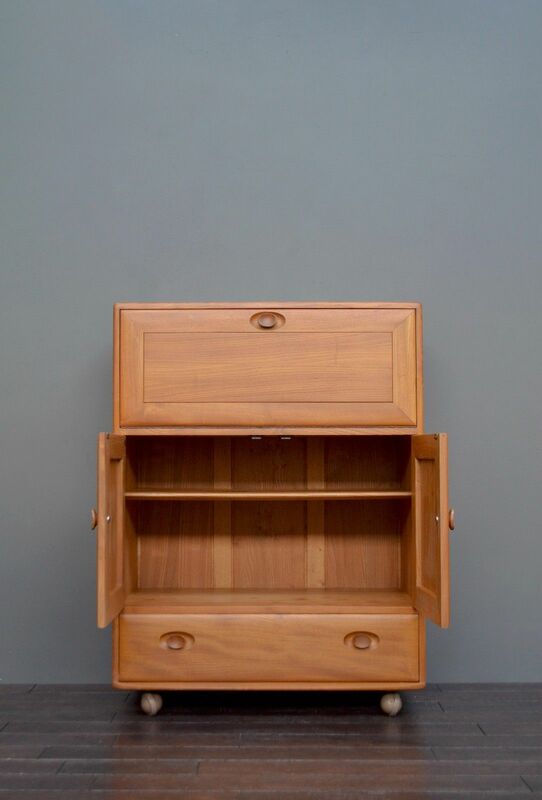 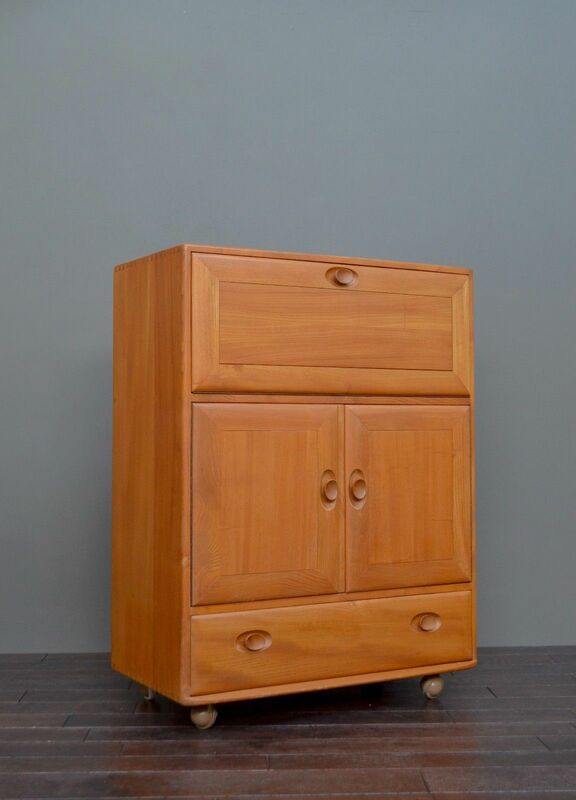 Constructed of solid Beech and Elm, with subtle recessed handles, metal castors and in the original light finish. 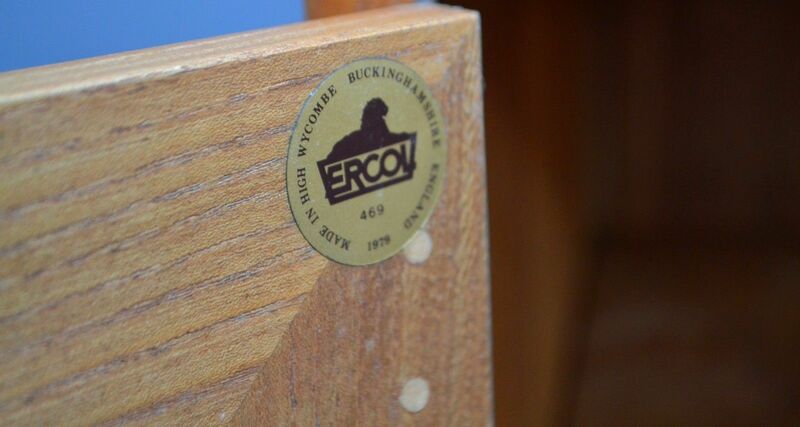 This beautiful bureau still retains its original Ercol sticker. 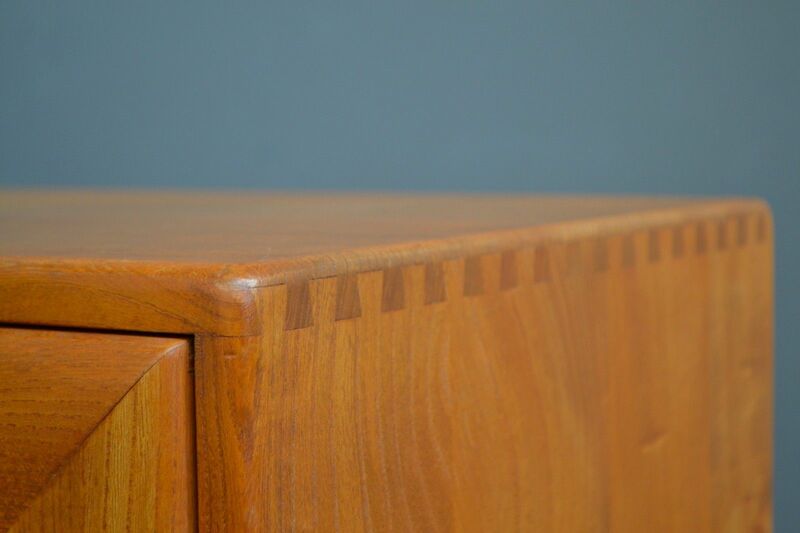 A very classic design. 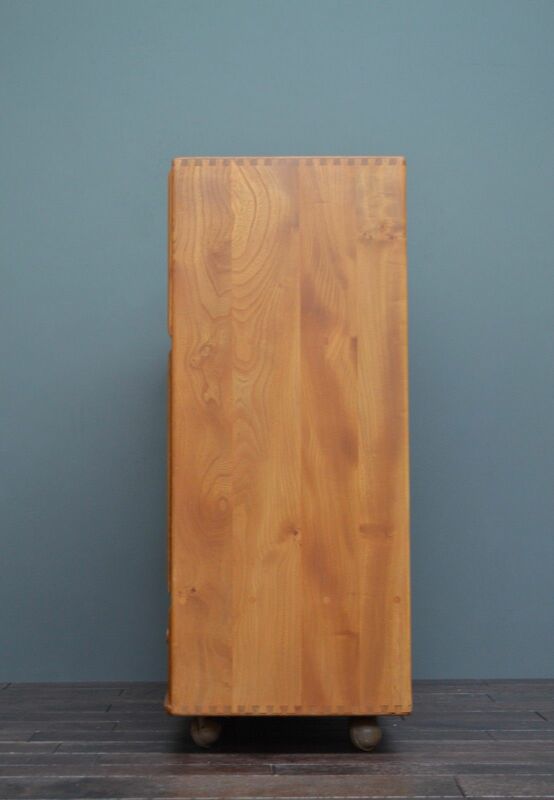 Designed and produced in 1965. 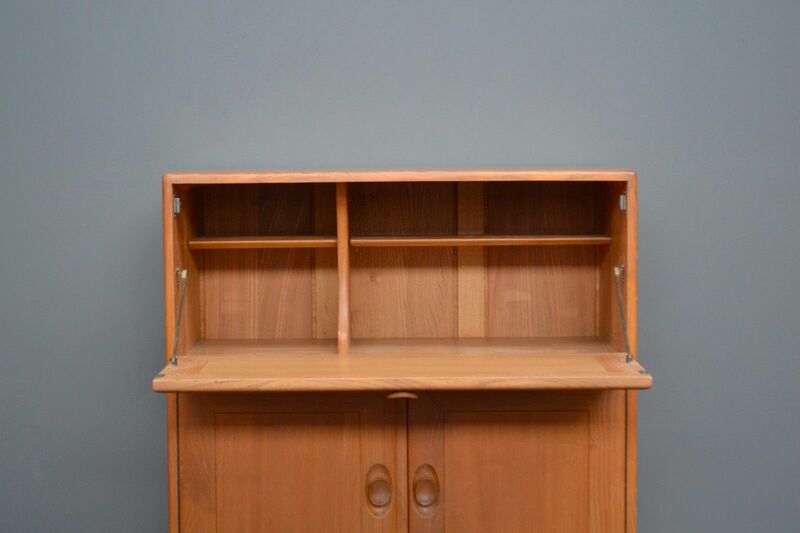 In stunning condition. 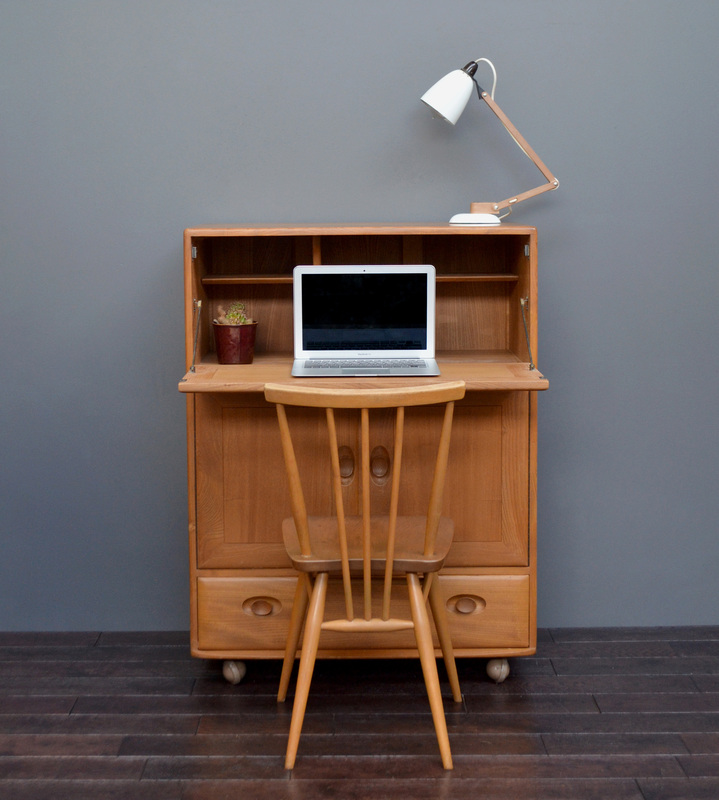 Please note, the chair is not included in this sale.